Seriously. Is this not the best title you’ve ever seen? I love it. The book is also tremendous. 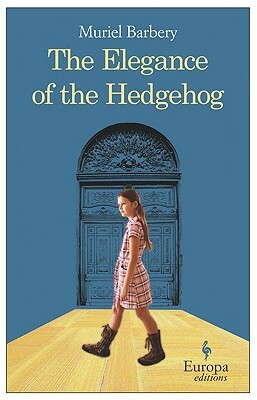 It’s about a misanthropic twelve year old and a misanthropic concierge who live in the same Parisian apartment building. And they’re both misanthropes and they both feel like life is pointless, but they’re at different ends of it. So far, it’s a slow, reflective, observation-based book, but because the environment is so rich, it feels like a ton is happening.